The Honor 6, made by Huawei, is one of an growing trend of manufacturers selling high-end Android devices at medium range prices much like the OnePlus One and (arguably) the HTC Desire Eye. 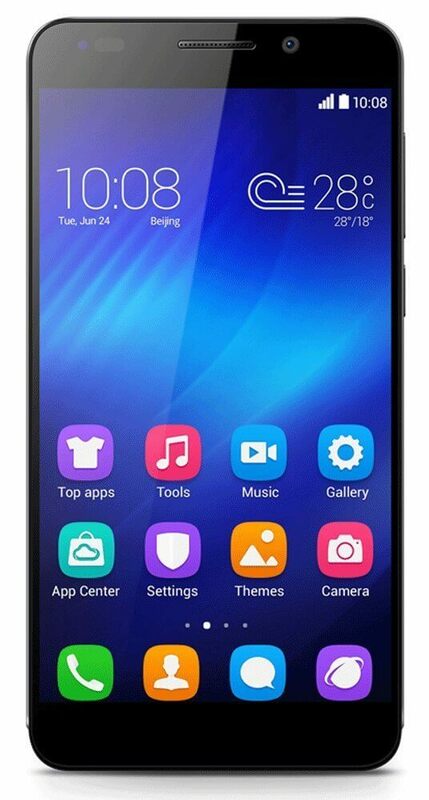 Virtually all reviewers were seriously impressed by the value for money the Honor 6 represents - with a high resolution screen and fast processing speeds of the top-end phones, there's very little not to like about it. The main criticisms the Honor 6 faces have been about the software Huawei have placed on top of Google's Android operating system. If you can overlook that, it's one of the best phones you can buy for £250. Note: the Honor 6 is exclusively available in the UK from Amazon. We're seriously impressed by the Honor 6 which provides specs you would normally pay a lot more for. Its downsides don't stop the Honor 6 being the best value smartphone around. Its software might not be perfect, but the Honor 6 packs an impressive lineup of specs for a brilliant price. If you want the crisp screen and fast speeds of the top-end phones but don't fancy the price tag, the Honor 6 is a great phone to go for. With the Honor 6, Huawei has crafted one of the best mid-tier smartphones of recent times. At this price point the Honor 6 is a winner. The Honor 6 Plus is a solid pick if you want a high-end phone without the top-end price. In everyday use there's nothing too glaring to separate this phone from one a good deal more expensive. huawei hit its mark with the Honor 6. It may not excel at all things, but the overall user experience is great. This is an excellent smartphone with great value for money. We recommend. Huawei should be reasonably proud to put its name to this affordable Android powerhouse, even if it doesn't look like much. The Honor 6 is a great smartphone, and its performance gives several top smartphones a real run for their money. If Huawei's Emotion user interface doesn't bother you, and you want the best value phone for its price range, you should buy the Honor 6. The Huawei Honor 6 gives you a serious amount of tech bang for your buck: It's fast, packed with features and it looks good too. While it doesn't top the Moto G for value and it has a few OS quirks, if you're willing to spend a bit more than what Motorola has to offer, you get a vibrant full HD screen and flagship-rivalling specs, all in a slim shell and for less cash than many of the top names. The Huawei Honor 6 is a quirky phone, but one that also offers top value. It is a high-value, aggressive phone of the kind we thought had disappeared from Huawei's ranks. It beats all the big-name competition. In a market that thrives on the definitives of 'fastest', 'lightest', 'cheapest', the Honor 6 fails all around  but as an Android device with specs that punch well above its weight, it's hard to ignore. Every day, we search through thousands of tariffs and offers from UK online retailers to find the best Honor 6 deals and contracts across a selection of price points and needs. Select 'Pay Monthly' if you're looking to get the Honor 6 as part of a monthly contract with minutes, data and texts. Alternatively, choose 'No Contract' if you prefer to buy the Honor 6 SIM Free or on Pay as You Go. Finding the perfect deal is easy. Just use the sliders to filter tariffs for minutes, data, monthly cost and upfront cost. You can also filter by network and retailer to find the best Honor 6 deal for you! The cheapest contract price in this category is cheaper than buying the Honor 6 SIM Free and a comparable SIM Only tariff by . You could save on the cheapest contract price in this category by buying the Honor 6 SIM Free and a comparable SIM Only tariff separately.